The bridge over the Long Island Railroad is approximately one mile south of the Jericho Turnpike Turn. 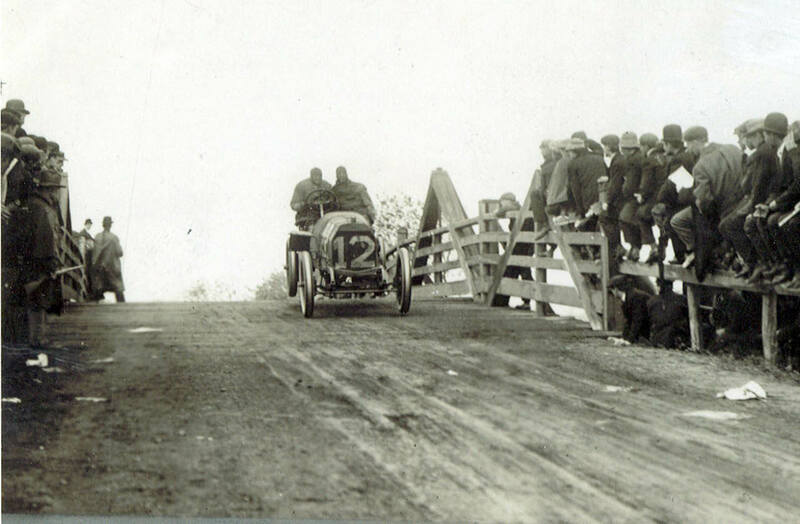 Here the #4 Chadwiick was seen approaching the bridge during the 1908 Vanderbilt Cup Race. The #12 Thomas hits the bridge and the rear wheels go flying. 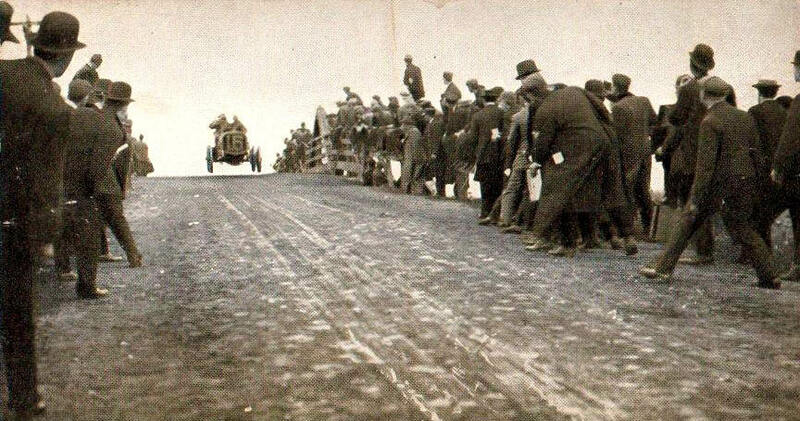 In one of the classic Vanderbilt Cup Race moments, all four wheels of the winning #16 Locomobile were off the road on top of the bridge. 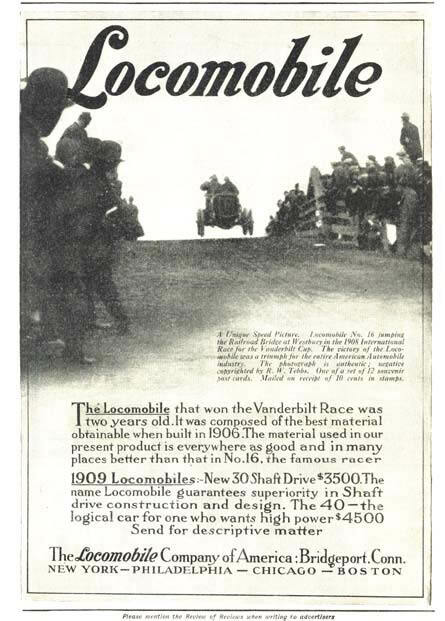 After winning the 1908 Vanderbilt Cup Race, Locomobile promoted the victory in journal ads and a series of 12 postcards including the "flying Old 16". 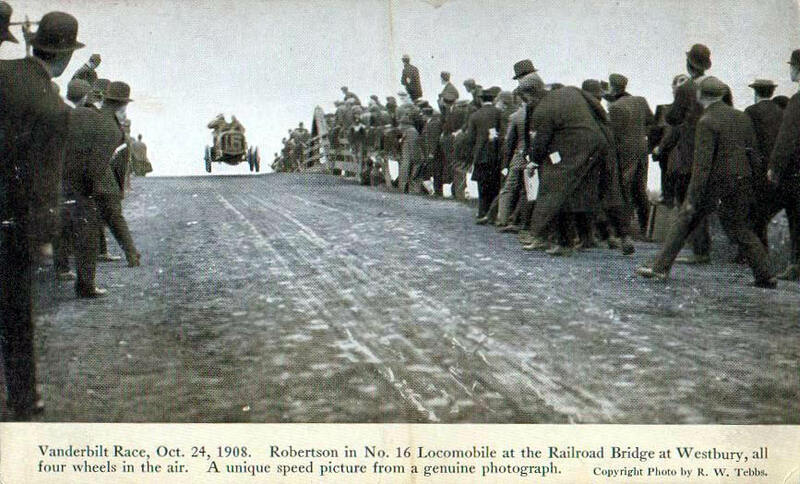 The copy reads: "Robertson in No.16 Locomobile at the Railroad Bridge at Westbury, all four wheels in the air. A unique speed picture from a genuine photograph. Copyright by R.W. 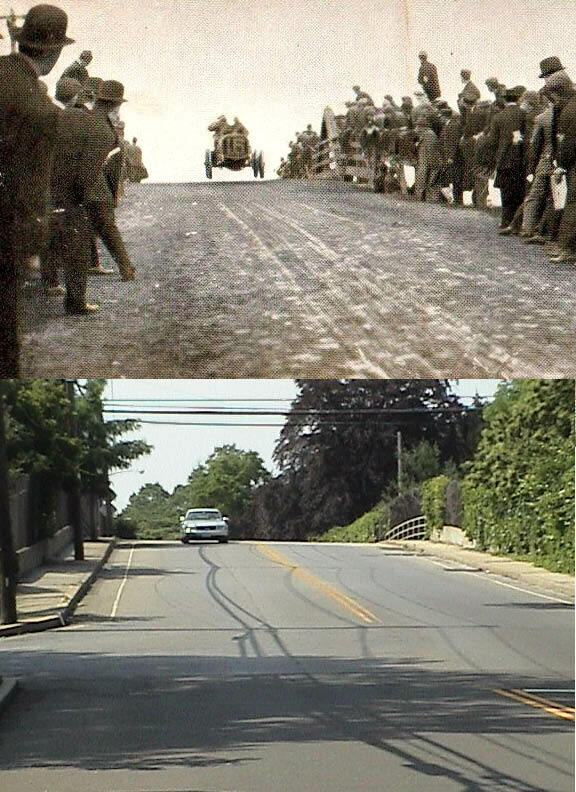 Tebbs"
The Ellison "Avenue" Bridge Now in 2008 as compared to Then in 1908. Last week, the current safety of the Ellison Avenue Bridge with only a 3-ton limit was discussed on the Railroad.net blog. 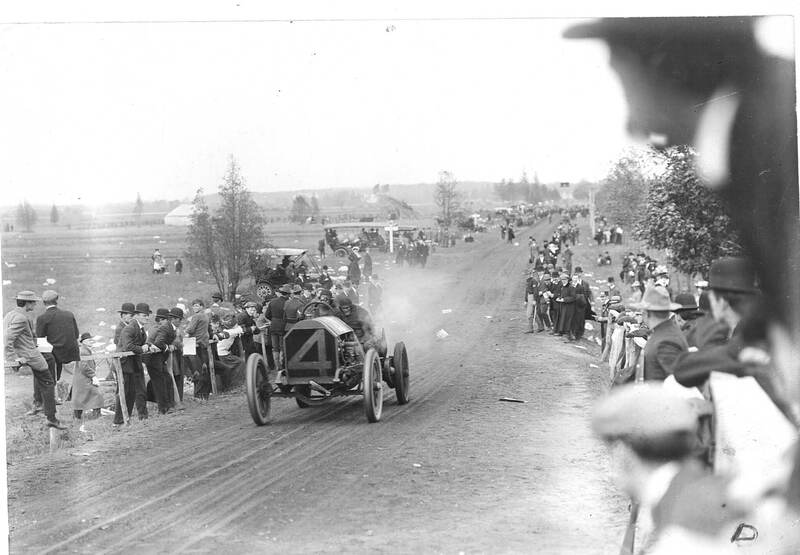 The entire 1908 Vanderbilt Cup Race course is shown in this slideshow. The Ellison Road Bridge appears at the 6 minute 51 second mark.